Absence of the Absolutely Continuous Spectrum of a First-order Non-selfadjoint Dirac-like System for Slowly Decaying Perturbations, Ark. 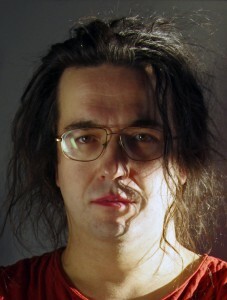 Mat., 44(2006), No. 1, 132 — 148 (with Marco Marletta). Estimates of solutions of linear neutron transport equation at large time and spectral singularities, Kinetic and Related Models, 5(2012), No. 1, 113 — 128. Order problem for canonical systems and a conjecture of Valent, to appear in Transactions AMS. Запись опубликована 22.12.2015 автором wpadm в рубрике Сотрудники с метками Несамосопряженные операторы, Функциональные модели.